"I have even forgotten the road to Delhi. I have spent all my time here to ensure we provide a tangible leadership. Young voters and farmer communities are back in the Congress fold. 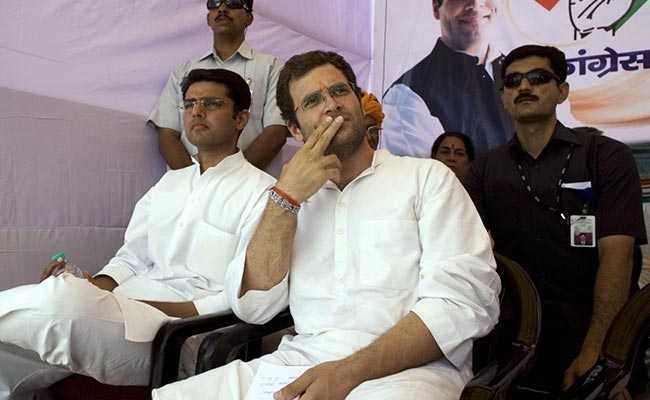 There is a tectonic shift in north India with these poll results," an ecstatic Sachin Pilot told me today after the Congress won all three of the by-elections (two Lok Sabha and one assembly seat, all of which were held by the ruling BJP). Pilot, the 40-year-old chief of the Rajasthan Congress, says the party has proven an "emphatic comeback in Rajasthan" but these results are much more. They could well be the harbinger of the most hotly speculated subject of political discussions - Modi's gamble on an early general election. The likelihood of this was also signaled by Finance Minister Arun Jaitley in his bilingual Budget which harked back to a 2014 promise to farmers of giving 50 percent more money above the total amount they spent in growing crops. To defeat anti-incumbency and take the disunited opposition by surprise with barely 16 months remaining of Modi's term is what the smart money is on. The laser focus on the mega-schemes for the rural and agricultural sector screamed of an election-year budget. The Rajasthan results point strongly to an anti-incumbency sentiment against both Chief Minister Vasundhara Raje and the BJP at the centre which could not be defused by all the silent support to the Karni Sena over the "Padmaavat" controversy. The takeaway for the Congress from Rajasthan should be the critical difference made by empowering strong state-level leadership. Pilot, who told me that he will be bring both his new MPs to Delhi tomorrow for "an introduction", had campaigned like a man possessed, addressing a record number of meetings, specially in Ajmer, his former parliamentary constituency. His deputy in the state, Raghu Sharma, was given the ticket after much resistance from the Ashok Gehlot faction of the Congress. Both Pilot and Raje had huge personal points to prove. Raje, who even got her daughter-in-law to campaign in the Jat-dominated Alwar constituency had to prove to Shah that she was the undisputed queen bee of Rajasthan. No go. Raje will have to fight hard to stave off a possible Anandiben-type coup planned by her state detractors who say she is "arrogant, feudal and disconnected". Raje's detractors may find a listening ear in Modi and Shah, who are known to be not particularly keen on Raje, finding her extremely independent. Even the RSS, which normally presses its loyal cadre into service, refused to help Raje. 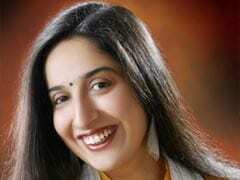 Both the RSS and Modi-Shah duo see her as arrogant and corrupt. Post these results, she will have to fight off the central leadership to protect her turf. While Pilot has passed a huge test, his trial by fire in the Congress will continue. Despite today's triple win, he will not be projected as the presumptive Chief Minister in the Rajasthan election that is due in December. Analysts say that if the swing in favour of the Congress today is applied to the 200 assembly seats, the Congress could sweep the state. This is not a factor that Shah will ignore while drawing up his preferred poll schedule with Modi. So will this calculation count for the Congress as well? Even as politics gets more presidential, the infamous Congress "high command" or "Delhi", as the state leaders now call it, is averse to projecting a charismatic face as party president Rahul Gandhi does not want to upset the delicate balance between the factional leadership in both Rajasthan and Madhya Pradesh. The uneasy truce with Gehlot will continue and both his supporters and those of Pilot will push for their man to be projected as Chief Minister as Rahul Gandhi shows no signs of making a decision - just like in Madhya Pradesh, where he must choose between Jyotiraditya Scindia and veteran Kamal Nath. A generational transition is just not happening in the Congress despite Gandhi becoming President in December. Shah is surely going to capitalise on this in both Madhya Pradesh and Rajasthan. "You can bet on one thing - Modi and Shah will learn lessons from the Rajasthan defeat, which was on expected lines, but our 'Delhi' will just celebrate the win and not draw any learning from it," said a senior Congress leader. 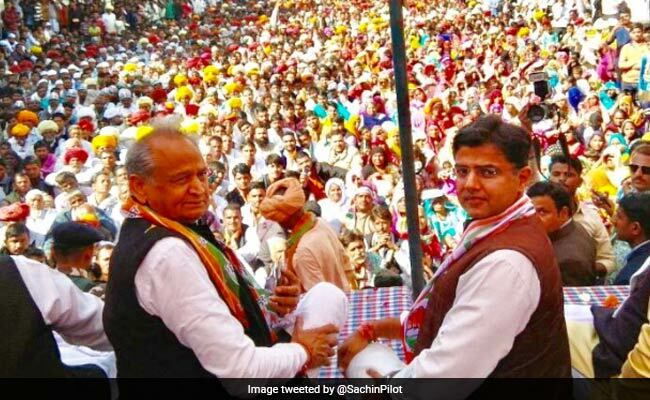 Others in the party say that Gandhi found Gehlot an able lieutenant in the Gujarat election and should simply make him part of his central team and let Pilot run Rajasthan politics. That is unlikely to happen as the Congress celebrates Gandhi as a "lucky President" and credits him the Rajasthan win. Left unsaid is the fact that the Congress sank to Number Four in West Bengal as the BJP emerged as the Trinamool Congress's main opposition. Gandhi worked extremely hard in Gujarat as the local leadership faced defeat. He has since remained on message but must contend with the ruthless real politik of Modi and Shah while also transforming his heavy-footed party into an election-winning machine. For that, he needs to reinvent the party from the booth level upwards, fashion a gripping narrative and an alternative story for India and empower state leadership. It's a huge ask from a party barely stirring out of its slumber. But today proves it's not impossible. The Congress defeated comprehensively not just the BJP but extreme elements like the Karni Sena which were being allowed the chance to hold the country hostage.